Getting double the use and life out of your wedding flowers means they work extra hard for you on your wedding day. With a few simple tips and tricks you can increase the look and range of your wedding flowers. By using bridesmaids bouquets to decorate the venue, moving flowers around the wedding space, preserving your flowers to keep your memories of the day and giving them away as presents you can get so much more from your wedding flowers. I’ve put together a list of 7 ways you can use your wedding flowers twice. 1. Aisle flowers. As your ceremony is the start of a long day of celebrations, it’s a great idea to use the flowers from the ceremony and give them a second wind on your wedding day. To draw the eye down the aisle you can zigzag the flowers down alternate rows of pew ends. Once the ceremony’s over (and you’re married!) you can then move these flowers to window sills, to decorate the bar and make the loos look prettier. Your venue staff can help with this or you could ask your ushers to move them indoors as their job. 2. Ceremony table flowers. Like I mentioned above it’s always great to get double use out of your flowers from the ceremony. If you have a long and low arrangement, that cascades down the front of the table where you sign the register, you can then move that arrangement to decorate your top table. This works well especially if you’re having a long top table. If you’re having a round top table this long and low arrangement can go on a mantelpiece or windowsill. I always make the flower arrangement on a tray so it's easy to carry and the staff at your venue will most likely be used to moving flowers around, so make sure you mention to them that you want to get twice the use from those flowers. 3. Bridesmaid Bouquets. These bouquets look gorgeous as your bridesmaids hold them walking down the aisle, they link in beautifully with the bridesmaid dress colours and wedding theme, and look great because they add pops of colour to the wedding photos. 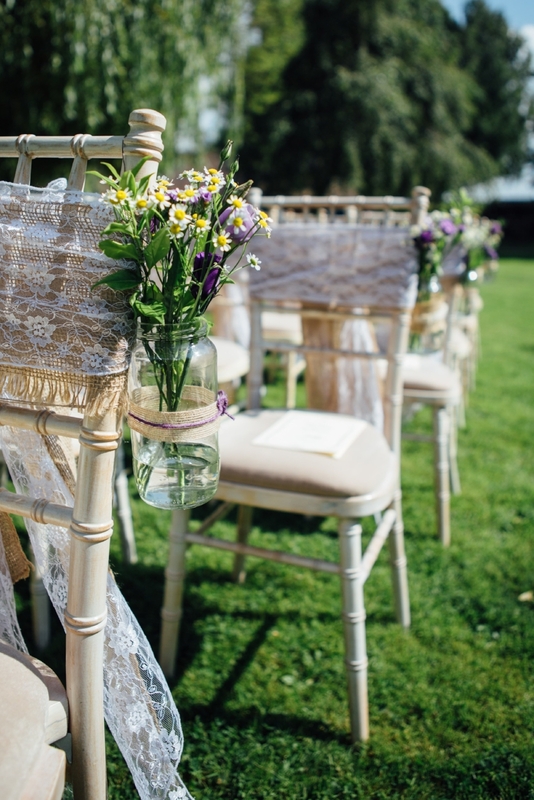 To keep them looking fresh for longer, place vases full of water around your venue, that your bridesmaids know they can put their bouquets in. 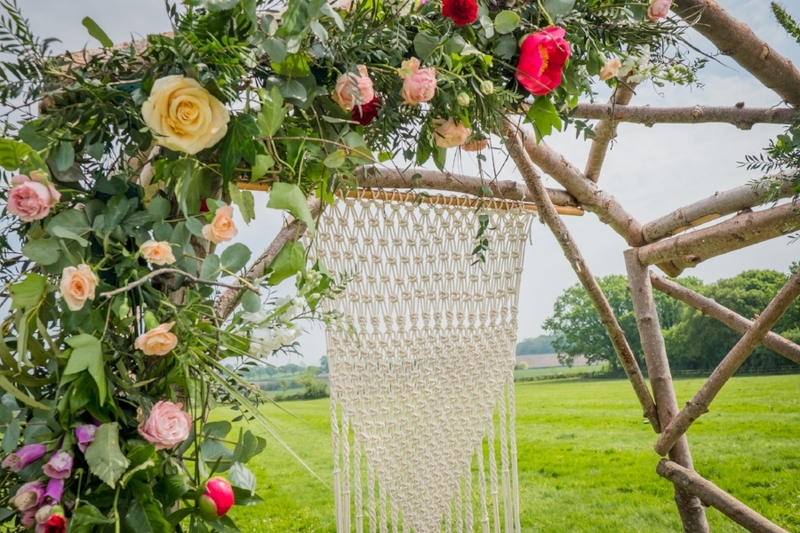 Especially if it’s a hot Summer’s day, this keeps the flowers drinking water and adds extra decoration and colour across your wedding venue. 4. Bridal Bouquet. After you’ve enjoyed your bridal bouquet on your big day you can then preserve your bridal bouquet. There are companies that can make paper weights using the flowers suspended in the glass. Or there are some companies that even dry the whole bouquet so it retains most of its colour. If you want to do try a DIY method of preserving you bridal bouquet, take buds off some of your favourite flowers in your bouquet and some of the petals. Press these in a flower press and then arrange them in a frame so you can keep the colours and flowers from your day hanging on your wall at home. One of my brides this summer, her bridesmaid did this for her and it looked so pretty when she was given it as a gift. Photo by Lesley Burdett Photography. Turmeric House and The Beautiful Day styling. 5. Photograph Flowers. Another tip to get twice the use from your flowers (maybe this one’s a bit of a cheat!) is if you place flowers where most of the photos will be taken. That way, the flowers will be captured in a lot of the photographs and you can enjoy looking at them again and again. Places that are photographed a lot are: where you say your vows and sign the register, where people mingle with drinks, your top table during speeches, flower crowns, buttonholes and wrist corsages on your close family and friends. It's also worth thinking about having flowers in particular focal points at your venue, like a beautiful staircase or doorway that'll be used a lot. 6. Hair flowers. If you have fresh flower hair slides and flower crowns for your wedding day, once the day’s over keep them in the fridge overnight. That way, they're likely to stay fresh to be used the next day. If you’re having a party the next day or a bbq with family and friends, who’ve come down to celebrate with you, then you can wear your hair flowers all over again. The key to this is remembering to put your flower crown in the fridge, which understandably you might forget after a day of celebrating your wedding! 7. Table centres as gifts. If you’re having table centres, they’re so nice to give away as presents at the end of the night or the next morning as your wedding guests are leaving. They’ll be enjoyed by your guests after the day is done. So if you’re having goldfish bowls with hand-tied arrangements, lift the flowers out and give them as gifts. Or if you’ve collected jam jars and bottles with flowers arranged in, you can give those away to be enjoyed for the days after your wedding. Getting double use out of your wedding flowers is a double win and simple if you follow these steps. Give them away as gifts, preserve them, keep your hair flowers in the fridge, move flowers around the venue and make sure they’re captured as much as possible in photos.